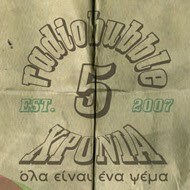 GonO is a live, broadcasted, event @radiobubble that will take place, mostly, in english. 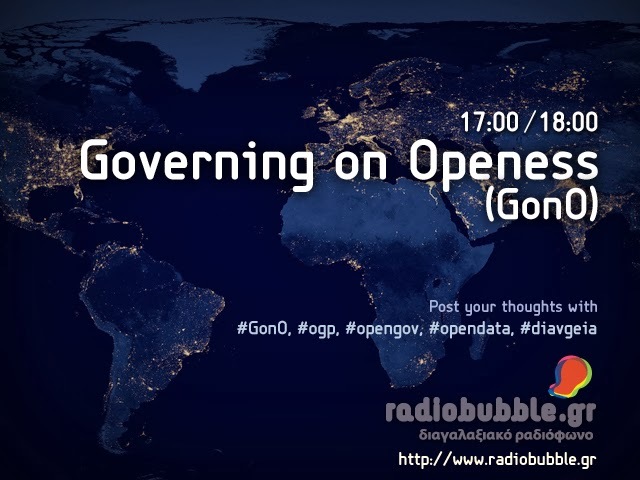 An effort to form and push an agenda on open government issues in Greece and elsewhere. These events include meetings with activists, NGOs, collective efforts, but also sounds, pictures, artifacts, from various thematic areas. 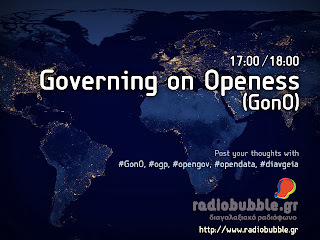 They aim at exploring new ways of citizens' engagement, organisation and action.The results of this effort will be a part of an ongoing research effort that maps the activities of Greece in the Open Government Partnership (http://www.opengovpartnership.org/countries/greece). This Tuesday (15.10), 17.00 - 18.00 (UTC+02:00) we will be discussing, among other things, with Prodromos Tsiavos (legal activist, National Documentation Center) and Pavlos Hatzopoulos (senior researcher on new media studies, republic.gr) on the, post Snowden, Internet governance and the conditions of openness in data. 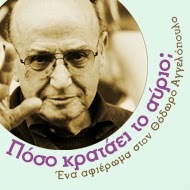 Αναρτήθηκε από Thanasis στις 12:56 π.μ.